Nice to see this blog templates and I am using it more than 5 blogs. Thanks alvaro. I need a blog which is having lot of feed members here. I have heard of Darren before. He’s doing very well. Comparable to John Chow. I would like to share my ideas to make real blogs through this eblog templates. paylaşım için tşkler devamını bekliyoruz..
Nice themes and most of them are for free. Thanks! Nice post, thanks for sharing. I love this. Nice collection themes and most of them are for free. I think the book should have a post version, can you please let have that here? I really enjoyed with this blog template and it will be very useful for me. I liked your way of writing and expressing things. 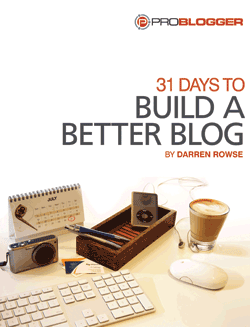 Hope your 31 days tasks will help me improving my website. Thanks. Nice themes….I really appreciate it!!! This is a really very good post, thanks!! thanks for share, that is what I need for my blog grow. I really want to develop my blog. This ebook maybe will help me, thanks for reviewing it. I thank God for this Blog some of the articles are old but still helpful.